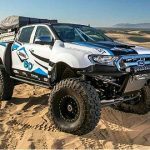 Notice: The Ranger Station features modifications made by Ranger owners. 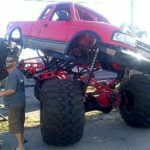 Some of these modifications may void your vehicles warranty. 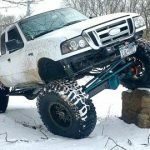 This modification is for the 2007+ Ranger’s. 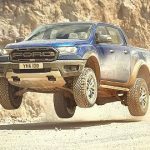 Ford redesigned the electrical system in the ’07+ Ranger’s so the other versions of this modification will not work. 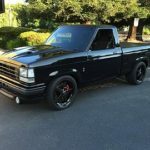 If you don’t know what the “FOG LIGHT” mod is, well here ya go. 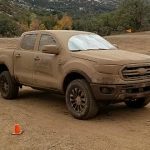 On the RANGER, the lower fog lights will stay on when the normal head lights are on or the DRL (daytime running lights). As soon as you try to use your high beams the fog lights automatically shut off. 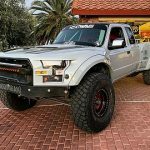 This mod is to “OVERRIDE” this so you can run your fog lights and high beams at the same time. – First the newer Rangers no longer have a GEM module. They use a SJB (smart junction box). It is located behind the P/S kick panel. 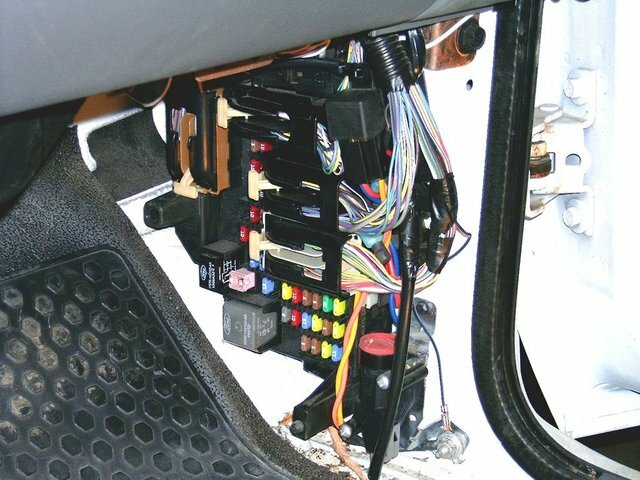 Once you have the kick panel removed, locate the black connectors that you will need to tap into. We will be working on the two top black connectors on the right hand side. We will call the very top one, “PLUG “A”. 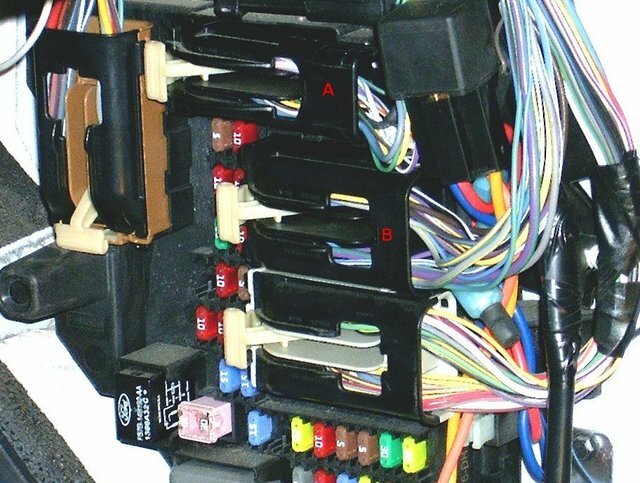 The 2ND black connector under that one will be called “PLUG “B”. You will need a RELAY and RELAY HARNESS. Remove the center wire from the RELAY HARNESS. It is not needed. Now you need to remove “PLUG “A” from the SJB. There is a small white lever in the middle of the plug. Simple pull the lever towards the rear of the truck. The plug will basically eject itself. Now you need to only locate one wire in “PLUG “A”. That would be the GREY/VIOLET (Grey wire with violet stripe). You need to TAP this wire, DO NOT CUT IT!!!!! If you cut this wire your in dash fog light warning light will no longer function. I installed a tap connector onto the GREY/VIOLET wire. Now you need to remove the 2ND black connector called “PLUG “B”. Use the same procedure to remove this plug as you did to remove “PLUG “A”. There is only one wire you need to locate in “PLUG “B”. That would be the small gauge, solid BROWN wire.You need to CUT this wire, making sure to leave enough wire on both ends in case you ever want to reverse this mod. The BROWN wire going towards “PLUG”B” will be capped off. 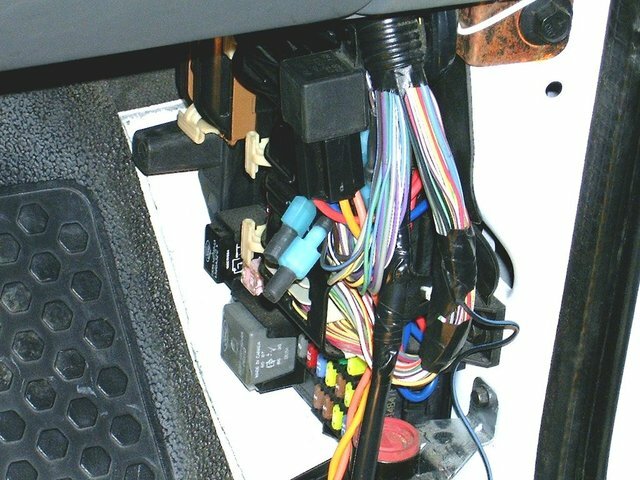 The BROWN wire going up, towards the dash will have to have a (MALE) connector installed on it. I used shrink tubing on this as well. I used male/female electrical connectors so I could easily reverse this mod if needed to. Basically “PLUG & play”. 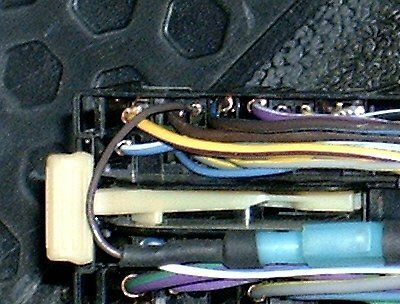 Now I took the BLUE (#30) wire on my RELAY HARNESS and connected it to the small gauge SOLID BROWN wire. 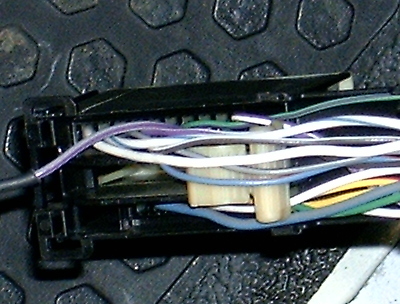 Then I took the RED (#86) wire from my RELAY HARNESS and connected it to the GREY/PURPLE wire, via a TAP connector. 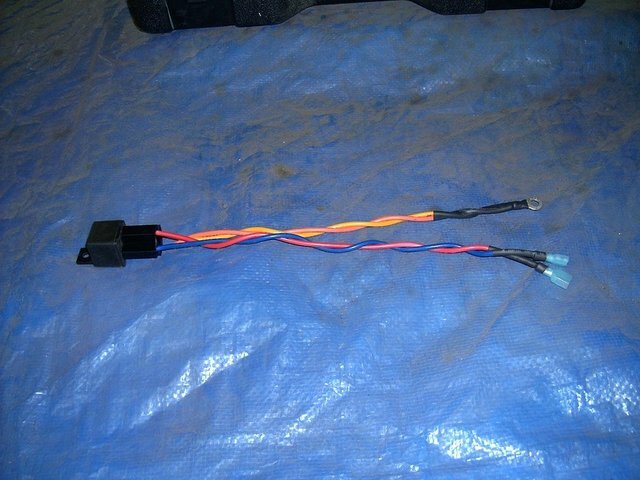 On my RELAY HARNESS, I took the ORANGE (#85) and YELLOW (#87)wires and tied them together with a ground connector. 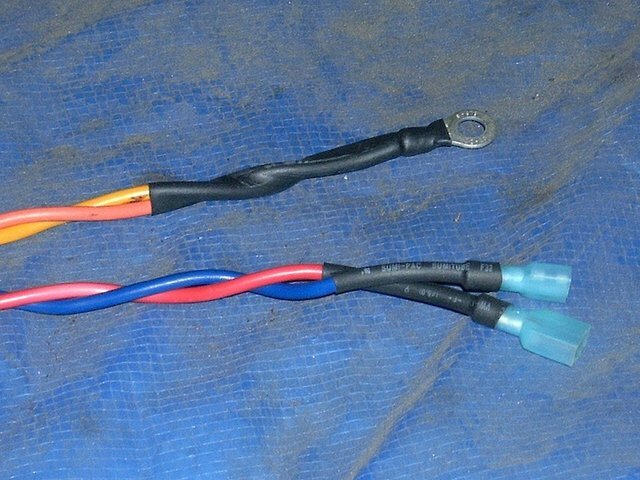 Both these wires will be used as GROUNDS. I used the small bolt at the bottom of the SJB as the grounding point. Reinstall “PLUG “A/B” into the SJB and push the white lever towards the firewall to lock them back into place. I ended up mounting my RELAY in the SJB. It fits nicely behind the P/S kick panel, out of site.